Now that Motorola has set July 28 as the day they plan to break up the relationship between you and your current phone, don’t be surprised if a wave of leaks crashes down onto the interwebs, revealing bits and pieces of their plans. We would be shocked if a new Moto G (3rd gen) isn’t on hand, but are also crossing fingers over the idea that a new Moto X (3rd gen) could join the party as well. While nothing is confirmed, a fresh set of pictures that are allegedly of each device popped up last night to kickstart the fun. 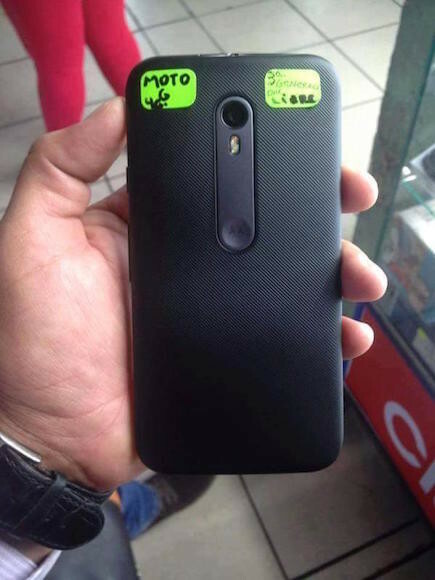 Over on G+, a Brazilian user by the name of Roger Pretto, who claims to work for Lenovo, posted a picture of a device that he referred to as the “Moto X 2015.” He also mentioned that this phone’s camera and battery “had a top upgrade.” The device can be seen below. Look familiar? Yep, it looks just like a couple of the phone back plates we saw earlier in the week, though previous reports indicated that this backside design might be reserved for a new DROID. I’ve got to admit that this whole situation is quite confusing. 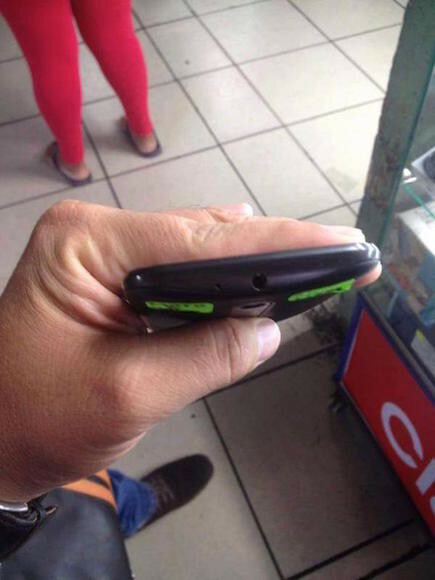 This phone looks like a mash-up of two of the backsides we saw previously. 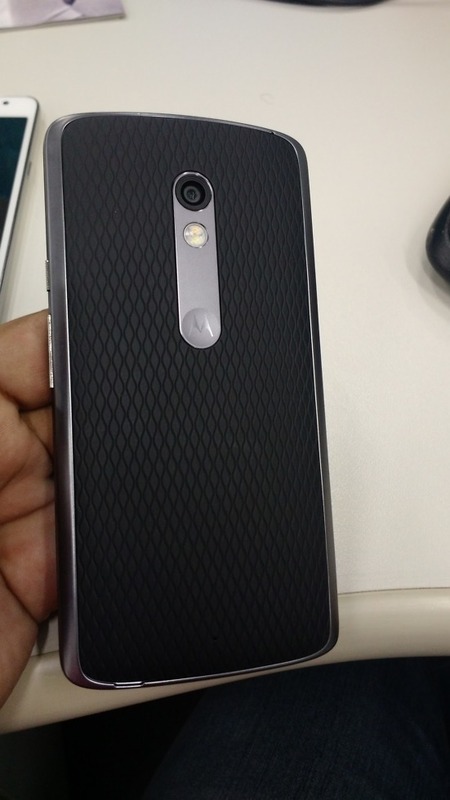 It looks like a mix of one of the supposed DROID phones and the new Moto X. I’m seeing the elongated camera and dimple housing from the supposed new Moto X, but the frame and shape of what we thought was a new DROID. Also, is that a removable back? And is it just me or does this look exactly like a Galaxy Nexus? 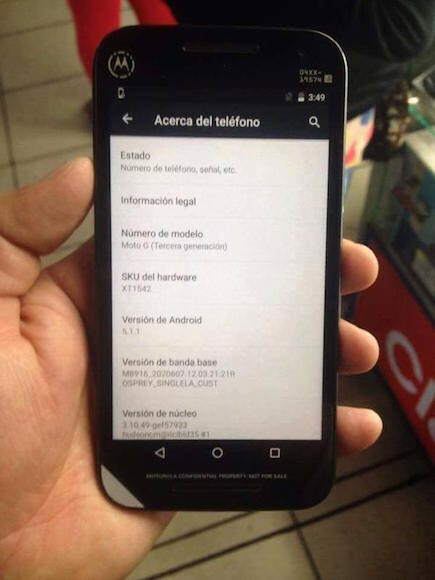 On a related note, Mexican site Xataka posted a series of images that are said to be of the new Moto G (3rd gen). The photos look a lot like previous leaks, plus show an About screen with model number XT1542 and the name “Moto G.” Since this isn’t a Moto G that has been officially announced by Motorola, I think it’s safe to say that this could very well be the 3rd gen model. This new Moto G (3rd gen) is thought to sport a 5-inch 720p display, 13MP rear camera, Snapdragon 410 processor, 8GB or 16GB storage, 2470mAh battery, and be waterproof. Looking forward to July 28?